Baylor Line Camp is an extended summer orientation experience designed to prepare you for your transition to Baylor. At Line Camp, you will forge new friendships, connect with the rich history and tradition of your new home, and explore how Baylor’s distinct Christian mission will animate your story. 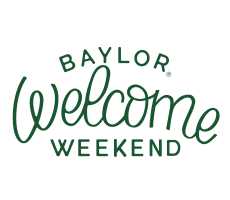 On-campus sessions of Baylor Line Camp are 4-day, 3-night experiences designed to welcome you into That Good Old Baylor Line. Off-campus sessions combine many of these elements with unique opportunities to explore or serve. First-year students can choose from any session options that fit with their entering term: Summer I, Summer II, or Fall. 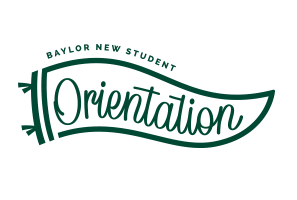 Transfer students can choose any session option except for June Orientation + Baylor Line Camp Combined. NOTE: Reservations are handled on a first-come first-served basis with a limited number of spaces available in each session. Please confirm your session dates on goBaylor before making flight reservations. Review your Baylor Line Camp opportunities below. Orientation + Line Camp Combined Sessions are currently full. Please sign up for a June Orientation and consider attending an available July Baylor Line Camp. You may check back to see if Combination Sessions become available. 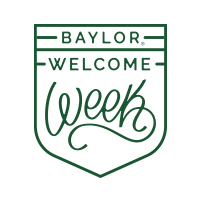 First-year students have the opportunity to experience Orientation and Baylor Line Camp -- all in the same week. Attend Orientation for the first day and a half, and then check-in for Line Camp as early as 2:30pm on the second day. Please note: Combined Sessions are currently full. 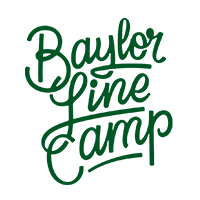 July Line Camp is an extended orientation experience designed to prepare you for your transition to Baylor. At Line Camp you will build friendships with future classmates and experience the deep traditions of Baylor University. Specialty Line Camps provide unique opportunities to build relationships with others who share an academic focus while experiencing the traditions of Baylor. Perhaps you would like to attend with other students in the Honors College, or with future classmates who are studying Engineering and Computer Science (ECS)? Outdoor Adventure Line Camp is an adventure in the mountains of Colorado with your future classmates. Meet new friends and connect with the rich traditions of Baylor as you enjoy backpacking, camping, whitewater rafting and more in an unforgettable wilderness setting. Missions Line Camp is an opportunity for incoming students to grow in your faith through international service and community building! Travel with Baylor Missions to serve alongside our global partners, while connecting with fellow students with a heart for service.